Messenger file photo by Will Johnson. EAST TEXAS – Firework shows are planned in East Texas this weekend and early next week as citizens prepare to observe the Fourth of July holiday on Tuesday, July 4. Scheduled for Saturday, July 1, Nicol Media Group will present the Annual All American Fourth of July “Fireworks Over Crockett” event on the Crockett Civic Center grounds, located at 1100 Edmiston Dr. in Crockett. Festivities will be held from 6:30 p.m. to 10:30 p.m., with vendor refreshments to be available starting at 6:30 p.m. Recognition of veterans will be held at 8:30 p.m. with the fireworks show set to start about 9:45 p.m.
On Monday, July 3, the Houston County Lake’s 21st Annual Fourth of July Boat Parade is planned to start at 5 p.m. The parade entries will gather in Sutton Cove, located at 152 Mize Dr. in Lake Forest Estates in Grapeland, and drivers will take their boats to the replica of the Statue of Liberty on Mize Island. The boats will then make their way around Houston County Lake to showcase their decorations to those in attendance on the shore. Sutton encourages those wishing to enter the parade to “go-all-out” and be as creative as possible with their decorations. After the parade, the boats will be judged and selected for a variety of awards, including: Best of Show, First Runner Up, Most Original, Best Spirited Crew, Most Patriotic, Best Personal Watercraft and Best-Towed Craft. A large fireworks show will be held after dark at the Statue of Liberty on Mize Island. Registration for the parade will be from 10 a.m. to 3 p.m. on Sunday, July 2 and Monday, July 3. If you are registering by boat, registration will be held at the Statue of Liberty in Sutton Cove. On-land registration will be held at 1 Mize Dr. in Lake Forest Estates. The registration fee is $5. For more information about the parade or for more details about how to enter, call Sutton at 713-539-8454 on weekdays and 936-546-5756 on weekends. 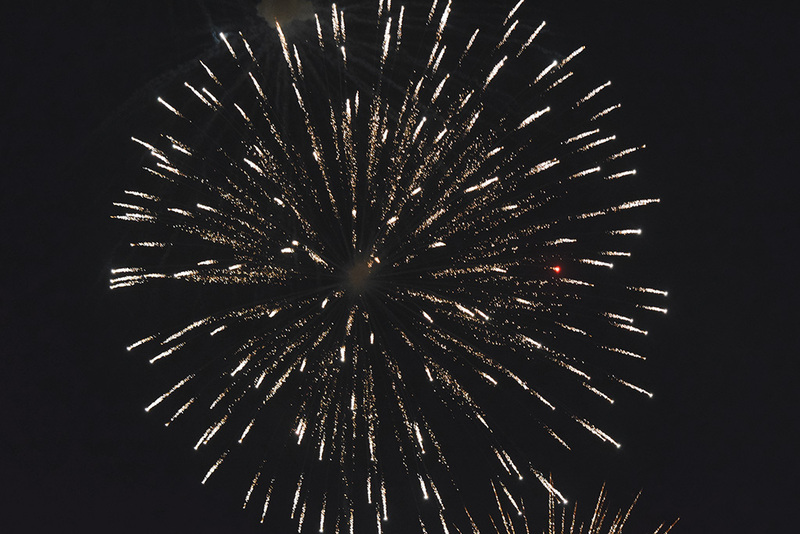 On Tuesday, July 4, the City of Palestine will light up the sky on the Fourth of July with fireworks at Steven Bennett Park, located near the intersection of Loop 256 and Palestine Avenue. Lone Star Fireworks will provide the show while Palestine radio station KYYK-FM 98.3 will provide musical accompaniment. Residents are asked to listen to the KYYK broadcast directly on their radios at 98.3 FM rather than the Your East Texas radio app. The Steven Bennett Park will open at 5 p.m. and will fill up quickly, Smith said. Concessions will be available from Eat a Bite food truck and the Citizens on Patrol alumni. To help with traffic around the Steven Bennett Park area, Palestine police and fire personnel will be placed at several intersections. At the intersection of Moody Street and Loop 256, officers will block the road so residents will not be in the fireworks shooting area. The intersections of Palestine Avenue and Loop 256, and East Park Avenue and Loop 256 also will be manned, and will have message boards for information. Officers will also be stationed at the Palestine YMCA, First Baptist Church, Christ Community Church and Story Intermediate School. No foot traffic, nor any parking, will be allowed on Loop 256. Also on Tuesday, July 4, a Fourth+9 of July Extravaganza will be held in Lufkin at the Ellen Trout Zoo. Activities will start at 3 p.m. with the fireworks scheduled to start at 9 p.m. The zoo is located at 402 Zoo Circle in Lufkin. Cody Thompson contributed to this report.